A newly released Pew research study surveyed in 2014 has found that Christianity has declined in the United States for the first time in history. The study shows that identified Christians went down to 70.6% nationally from 78.4% in 2007. There was also an increase in “no religion” to 23% which was only 16% in 2007. So we can see a 7% increase in non-belief and a 7.8% decrease in Christian belief, which roughly ads up to be about 1,983,429 Christians that lose their faith every year and a whopping 13,884,000 in the last 7 years and counting. 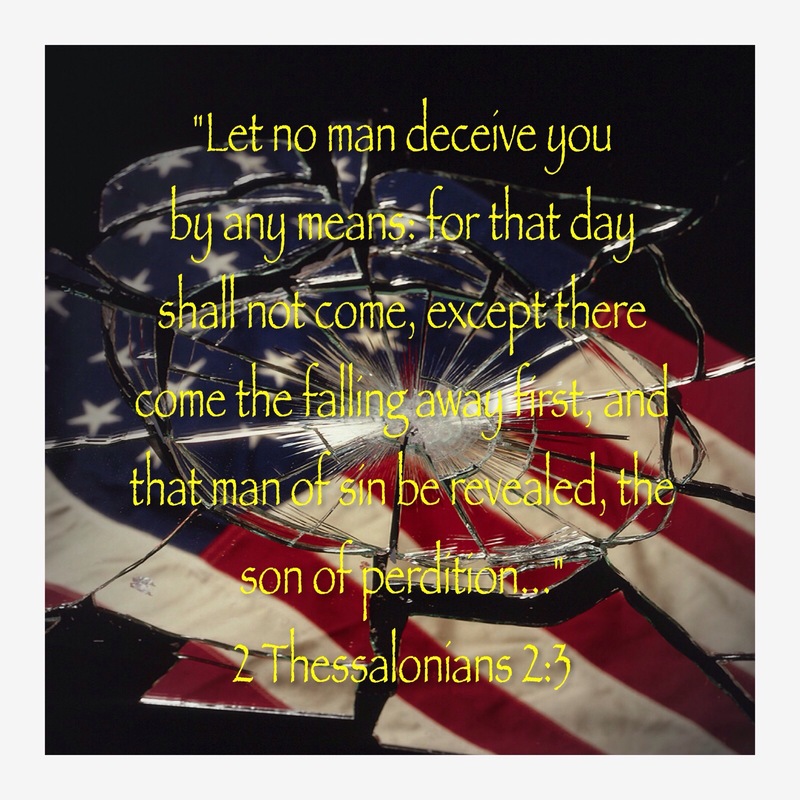 This is very sad news and is reflective of 2 Thessalonians 2:3 which prophesies that a “falling away” must happen first before the antichrist can be revealed. Despite this falling away from Christianity, there is one group of people where believers in Jesus Christ have sharply increased. Within this same Pew Research study in 2014, it was found that 48% of lesbians, gays and bisexuals identify as Christians. This is up 6% in just 1 year compared to the 2013 study! Based on gay, lesbian and bisexual demographics, that’s averaged to be about 150,000 or more new gay, lesbian and bisexuals accepting Christ just in the past year. Praise God! The advancement in gay Christian identification could likely be do to the recent growth of gay-affirming Christian congregations and the increasing knowledge and availability of gay-affirming Biblical studies and literature. This rising acceptance has led to a growing longing for Christ in the gay community. Another interesting thing to note is a particular exception to the decrease in nationwide Christianity. When looking at a state level, all states show an overall decrease in the amount of Christians. There were only a couple states which had an increase in a particular area of Christian identification, but still a decrease overall. California increased by 2 percentage points between 2007 and 2014 within the Evangelical tradition. As an observation, this is intriguing since California represents one of the most populated areas for gay-affirming churches. This possible association has not been studied, but I found it to be a fascinating observation that could be significant. One more intriguing stat reveals the importance level that faith plays in those that were surveyed. Gay, lesbian and bisexual Christians reported that their religion played an important part of their life 3 percentage points higher than the heterosexuals Christians surveyed. So it would appear that the gay Christians faith is of devoutly serious importance. 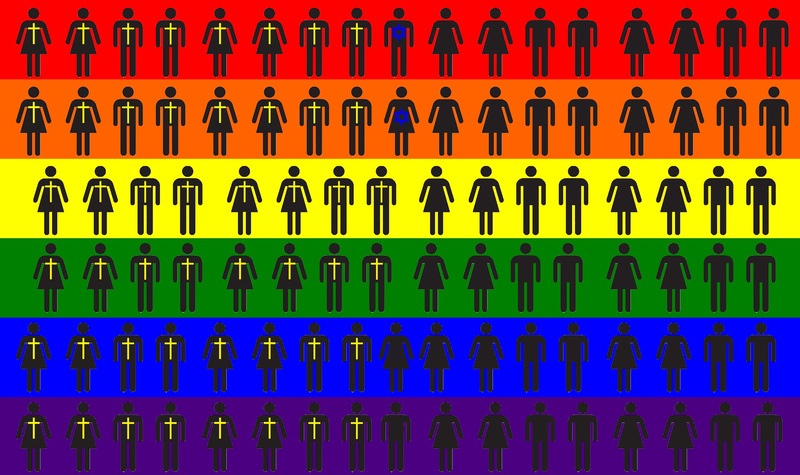 Although these statistics for gay believers are exciting and demonstrate the bearing of good spiritual fruit, the fact remains that the gay community still has significantly lower levels of Christians compared to the heterosexual population due to the rejection from many churches and Believers. As a side note, the population of gays and straights of the Jewish faith were the same statistically. But for the Christian population, gays were significantly less Christian overall. Although another Pew study reveals a 12 percentage increase in church acceptance of gays, lesbians and bisexuals between 2006 to 2012, numbers are still relatively low. We must work towards spreading the Gospel message in a loving way to all of humankind without exclusion. As I’ve said before, we must be strive to be spiritually fruitful and multiply Believers. This entry was posted in Bible prophecy, Bisexual, Christian, Christianity, Gay, Gay and Lesbian Christians, Lesbian, LGBT and tagged 2 Thessalonians 2:3, 48% of gays a are Christians, america, believer, Bible, bisexual christians, Christianity, christianity decreasing in america, gay Christians, God, how many, how many gay Christians in the United states, how many gays Hcristianity are there, Jesus, lesbian christians, losing faith, pew study, statistics on gay christians, the great falling away. Bookmark the permalink. Hi Angela, thanks for the message. I have heard that Christianity has declined a lot in Europe. I don’t know the exact statistics, but I recently heard that many churches are going up for sale because no one is attending. This is very sad. I do believe that this is an end times sign. There are many signs around us right now, but I guess we’ll just have to wait and see how it all pans out. As far as Damascus still being a city, we don’t quite know exactly when its destruction will come. The destruction of Damascus could happen sometime within the tribulation, or even towards the end. So I think the big sign to look out for next will be something to do with Israel. Many are looking for a seven year peace treaty, but this might not really be the case. It says that the antichrist “confirms a covenant with many,” and also that “he destroys many by peace.” I feel that the recent push to recognize Palestine over Israel is significant, as well as any coming 2-state solution pushed by the UN. If there is going to be a literal third Jewish Temple built, then I feel that this might come with this peace covenant between the two states to share the Dome of the Rock (Al Aqsa Mosque) and the built Temple, probably made possible as a trade for land sharing. The Muslims may allow the Jews to build the Temple if they acquire some more Palestinian land and share Jerusalem as a Capitol. In Revelation, John is asked to measure the Temple and its “outer court” is mentioned and for it “not to be measured,” as it is “given over to the Gentiles.” I think that this is probably the Dome of the Rock. So it would seem that this Mosque does not have to be destroyed for the new Temple to be built. They have all of the items ready for it to be built right now and are even breeding a perfect red heifer to be the first sacrifice. Thanks for asking how I’m feeling. I am still hurt right now and going to physical therapy, but I’m feeling better than I was. I’m still using a speech to text app because it’s hard to type. The last blog entry that I wrote I had compiled a few months back and forgot and post it. Well I’ve got to head off to physical therapy now. Good to hear from you as always. You’re in my prayers! Though not in so many words, that’s almost exactly what Islam teaches. If you didn’t notice already, my quote is an extension to the Old Testament command to Adam and then to Noah to “be fruitful and multiply,” something that many in the Christian faith have used now to disparage same-gender unions due to the non-procreative aspect of their pairing. We know that the New Testament does not require that all Christians bear children (as this was an Old Testament command when the earth was in its “infancy” in population numbers), but I assert that the deeper application for this command to the modern Christian is not simply to multiply offspring, but work to bring humankind into a saving knowledge of our one and only Savior, hence we “be [spiritually] fruitful and multiply [believers].” This is also a kin to “The fruit of the righteous is a tree of life, and whoever captures souls is wise.” (Proverbs 11:30). The unfortunate thing is that the professed exclusion of gays from Christianity has been cause for some bad spiritual fruit in that it’s driven many people souls from Christ, and some to the ending point of suicide due to being told they are unredeemable. Many have been told that they cannot be a Christian if they have a gay orientation and that being a “gay Christian” is an oxymoronic contradiction. This message not only turns away LGBT potential believers, but heterosexual potential believers as well who see the obvious injustice. So to negate this negative outcome, I am proposing that we end the attitude of exclusivity (i.e. “You must be straight to be a Christian”) which divides and creates barriers to the salvation, that to which ALL are eligible. When we exclude anyone as lesser or unworthy of salvation compared to ourselves, we act just like the Pharisees which Jesus condemned: “Woe to you, teachers of the law and Pharisees, you hypocrites! You shut the door of the kingdom of heaven in people’s faces. You yourselves do not enter, nor will you let those enter who are trying to.” (Matthew 23:13). The “equal opportunity” whosoever approach would bear more good spiritual fruit for the Kingdom and bring more people to salvation and is congruent with the Will of God which is stated by Jesus as: “For this is the Will of my Father, that everyone who looks on the Son and believes in him should have eternal life, and I will raise him up on the last day.” (John 6:40). We must remember as Christians: “There is therefore now no condemnation for those who are in Christ Jesus” (Romans 7:8) and “‘There is neither Jew nor Gentile, there is neither slave nor free, there is no male and female, for you are all one in Christ Jesus.’ And if you are Christ’s, then you are Abraham’s offspring, heirs according to promise.” (Galatians 3:28,29). Rather than focus on a vice list of sins of those who “won’t inherit the Kingdom of God,” notice that these are all people guilty in their sins without the blood of Christ to redeem them, as it is written that “the adikos (Greek word) will not inherit the Kingdom of God.” (Refer to 1 Corinthians 1:9.) Adikos is often translated as “unrighteous.” This is a correct, but incomplete, translation. The word adikos is used comparatively by Paul multiple times as meaning “unbeliever” (and all unbelievers are also unrighteous in the site of God without salvation.) So indeed the unbeliever will not inherit the Kingdom of God. The unbeliever is defined by their sin because “Whoever keeps the whole Law but stumbles at just one point is guilty of breaking all of it.” (James 2:10) But Paul goes onto to say about the believer: “This is what you were. But you were washed, you were sanctified, you were justified in the name of the Lord Jesus Christ and by the Spirit of our God.” 1 Corinthians 6:11. So no matter the person and whatever they have done in their unbelief, once transformed by faith, they are considered washed and sanctified by the sacrifice of Jesus and imputed with His righteousness in the sight of the Father on the day of judgment so that they may be given eternal life. Romans. 4:5 states that our “faith is credited as righteousness.” Therefore, no one is righteous except One, and by that One, we are made as righteous through His work on the cross. So let one not consider themselves more worthy of salvation in their own pride. A heterosexual has no better chance of Heaven than a homosexual. All have sinned and are guilty without Christ, but with Christ, both are redeemed as promised. So “what God has cleansed, no longer consider unholy.” (Acts 10:15). Sorry I wrote quite a bit more than expected. But does my wording in my quote make more sense now, hopefully? Thanks again for your comment. If you respond, I would like to know what faith you believe in (Christian or Muslim or other?) just to get a better understanding of the context and motivation of your statement. Thanks!